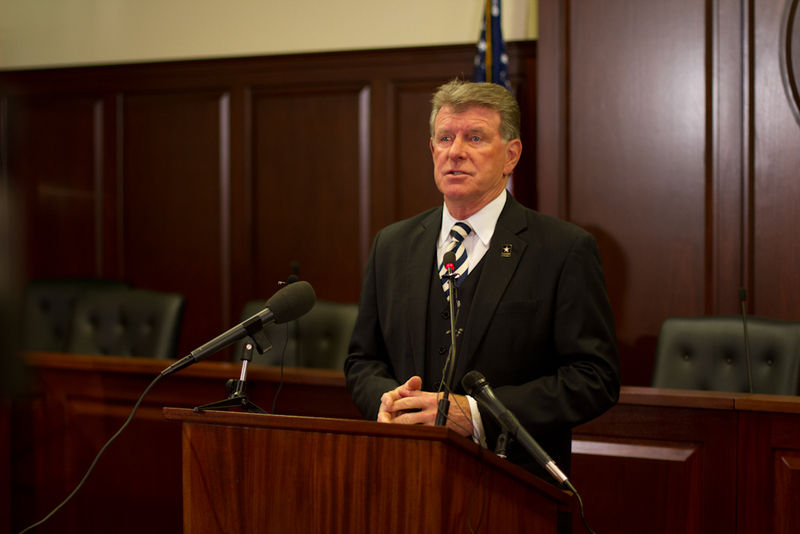 BOISE, Idaho — Idaho Governor C.L. “Butch” Otter took on three big environmental issues in his State of the State Address this week. Among them is a $15-million proposal to take a new look at water projects in the state. These projects could help create a new reality in Idaho’s southern desert. The money would be used to look at the potential for a water storage project on the Weiser river and the expansion of Arrowrock Dam just outside the Treasure Valley. There are plans to also look at building more water storage capacity in Island Park. If we broke ground on all these projects, the final cost would be into the billions. But could offer significant returns to Idaho farmers, ranchers and towns across Idaho. Otter also gave a nod to wolf opponents by proposing to develop a committee to keep Idaho’s wolf population from growing. No longer protected under the Endangered Species Act, wolves in Idaho are being targeted by hunters and trappers under a state management plan. But wolves are still being blamed for targeting domestic livestock. Governor Otter announced a plan to help keep wolf populations from unrestricted growth. The state of Idaho would invest $2-million as seed money, sportsmen and the livestock industry would help keep it going with $112,000 dollars annually. The board would operate independent of Idaho Fish and Game. This didn’t sit well with conservation groups like the Idaho Conservation League. Finally, Governor Otter reiterated his support for a state Sage Grouse management plan that is currently in the final month of public comment. The federal government is trying to prevent further decline of the western Sage Grouse population. The plan which is currently in the final month of review includes two different solutions, one developed by the federal government that sets aside 7-million acres, and one by the State of Idaho with less land set aside, and is far less restrictive. The goal of Idaho’s plan is to continue stock grazing on BLM land and encourage the development of a high power transmission line through the state. Idaho lawmakers may also take on an effort to turn over control of federal land to the state.